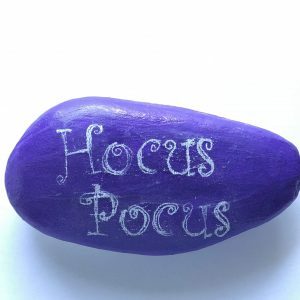 Have you ever wanted to make those painted rocks with the beautiful hand lettering? 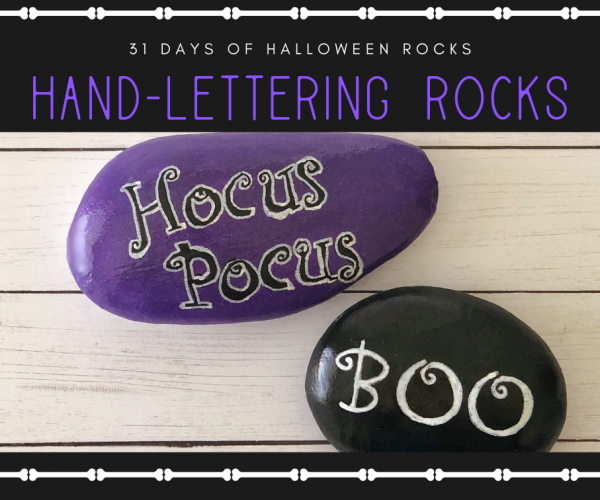 Well here’s an easy and beginner-friendly way to make your own Halloween hand lettering rock paintings using transfer paper. 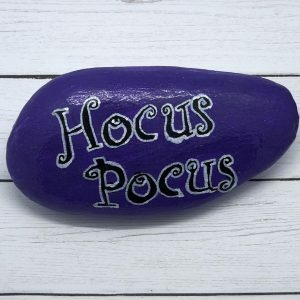 Apply a coat of black and purple craft paint on your rocks. Let it dry completely before moving on. Find a font that you like and use text editors like MS Word or Google Docs. 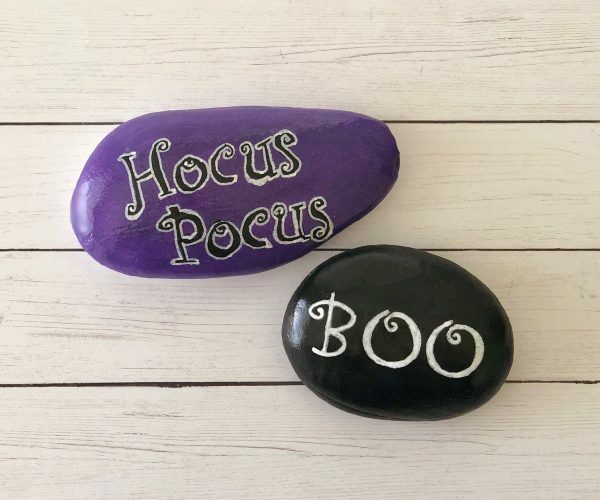 Simply type your spooky word in your chosen font and size for your rock. Print out your word and cut a piece of transfer paper. Lay the transfer paper face down with your printed word on top. Simply trace the letters on your rock using a pencil. Remove papers and use a fine point paint pen to trace over your outline. Decorate your rocks. 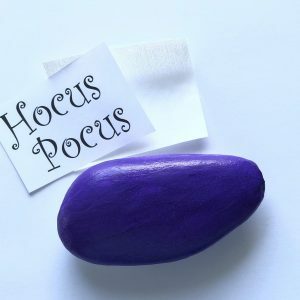 The Hocus Pocus rock has an extra layer of Extreme Glitter Purple Paint by FolkArt. 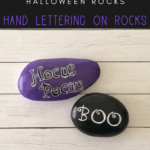 Have you made your own Halloween Hand Lettering Rock Painting?